Enhance your corporate organization’s culture and identity with a beautiful corporate garden from our commercial landscaping department. Professional yet elegant landscapes are a necessity for facilities, buildings, or corporate headquarters. Business owners and property managers seek corporate landscape gardening to add an aura of professionalism to their property. At Landscapes WA, we provide corporate landscaping services to new or existing commercial facilities, buildings, shopping centers and malls, universities and corporate headquarters. Over the years, we have acquired extensive experience in designing and maintaining sustainable landscapes throughout the seasons. 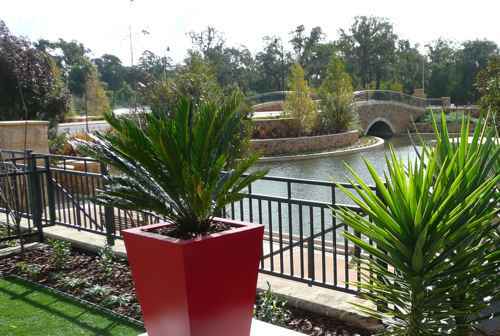 Our landscape designers will coordinate and properly install your commercial landscape project. They know how to create a landscape design specific to your property requirements, transform the mere designs you have in mind into reality. We want our corporate landscaping to create an awesome first impression on your clients as well as provide your employees with a tranquil hiatus. At Landscapes WA, our corporate garden landscaping considers the user of the space and not simply the appearance of the space. How does the environment work with traffic flows, amounts of shade and the wind patterns? Do people have welcoming places to sit and converse? Is the garden easy to keep clean and vandal free? Landscapes WA provides a broad range of service to convert your bland outdoor commercial space into a brilliant and attractive area. Environmental and conservation projects (such as Green Roofs) in Perth, WA. 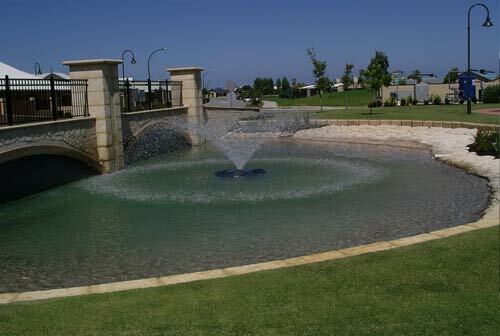 At Landscapes WA, we build long-term relationships with our commercial customers by delivering consistently and responsibly at superior quality. We have the expertise to advise you on scheduling, project management, and cost-effectiveness of your landscaping project. We then deliver by exceeding the needs and objectives of each client, yet staying within your budget. Whether you are looking to improve your outdoor site or seek a large scale installation, or have security concerns about a full scale renovation, our architects would be pleased to perform a site evaluation and give you a quotation. For more information, contact us today.